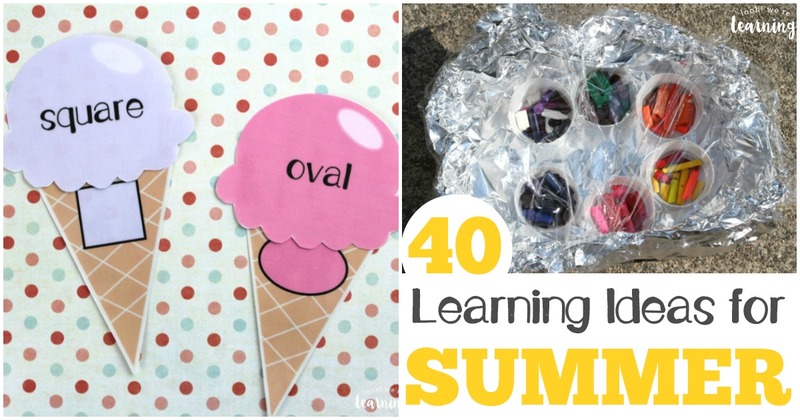 40 Fun Learning Activities for Summer - Look! We're Learning! I just love summer. It’s basically what makes life worth living. To me, anyway. The sun is out, you can walk around in flip-flops all day, no one cares if you eat ice cream for breakfast – it’s a good time of year. The kids and I tend to take a more relaxed approach to learning over the summer, but I still like to keep them learning as much as possible. So we found a bunch of learning activities for summer that are super fun and great for helping them explore science, math, STEM, literacy, and more! 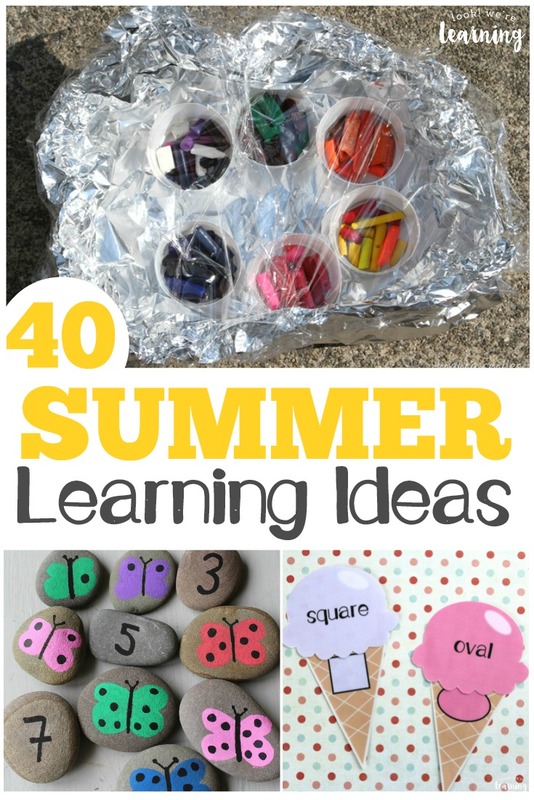 There are 40 different summer learning ideas below, so you can try as many as you like during summer break! If you decide to do some of these, be sure to come back and tell us how you liked them! Want to spend summer boosting your children’s literacy skills? Take a look at this list of 50 summer books you can share with them! 1. Beach Number Playdough Mats – Look! We’re Learning! 16. Ice Cream Shape Sorting Activity – Look! We’re Learning! See more fun learning activities for summer on page 2! Thanks so much for featuring our Fun and Free Activities at Home. We have had a lot of fun with them and hope others enjoy them as well. Thanks for hosting!